When the former Minister of Economic and Defense Affairs Karl-Theodor zu Guttenberg appears, the interest is great. Even in his free-speech talk about the world after US President Donald Trump on the day of the family entrepreneurs, no one in the hall talks in between. Then he is surrounded. We know each other. As a co-founder of Spitzberg Partners, he is reluctant to oppose the media. He can not answer some questions. Nevertheless, after the lunch he takes almost ten minutes for the Handelsblatt. Mr zu Guttenberg, you would recommend the family business to continue to maintain contacts with the USA and put it in the after-trump era. What are the corporate executives to do? Notice that the article shows that Herr Guttenberg is still commanding a lot of attention. He has made various statements about Donald Trump. In December 2015, Karl-Theodor zu Guttenberg called Donald Trump “that blonde lunatic named Donald” (Wish List or Reality? 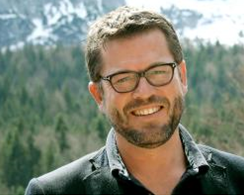 Digital Trends in 2016 | Karl-Theodor zu Guttenberg | hub conference. https://www.youtube.com/watch?v=dgdZUA96UBU. Posted December 11, 2015; watch also Karl-Theodor zu Guttenberg and Europe’s Future). The Bible shows that Europe will ultimately turn to a ‘strongman’ of its own in Revelation 17:12-13–one who is able to monitor buying and selling. This may very well be Karl-Theodor zu Guttenberg. Baron Guttenberg, thus, has some expertise in digital currencies–which can be used to monitor buying and selling. Also, if the USA or State of Delaware do something later against digital currencies, this could turn him further against the USA. Several of those predictions were based upon my understanding of prophecies in the books of Daniel and Revelation, plus outside sources. While these 9 speculative predictions do NOT prove that he is going to be the final King of the North European Beast power, he still bears watching. This entry was posted on Sunday, June 25th, 2017 at 3:00 pm	and is filed under Prophecy.